Piano Fun is a really amazing way to increase your focus speed & brain power. The new and interesting way to enjoy Piano. Watch your step, DON'T TOUCH ON ANY WHITE TILES! 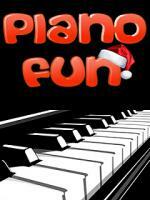 Piano Fun is the core fun for addictive games. Download your fun copy now! You should give it a try, and see how well you stack up with your own score. Enjoy the best arcade entertaining Piano Fun game ever, which also increase your brain puzzle power. Download Piano Fun now. Thanks.